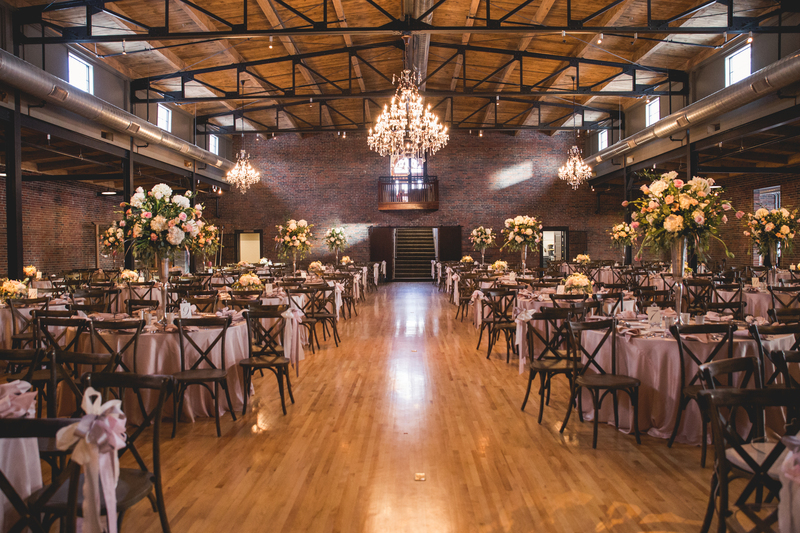 If you know us, you know we love a good wedding/reception flip at a single location. 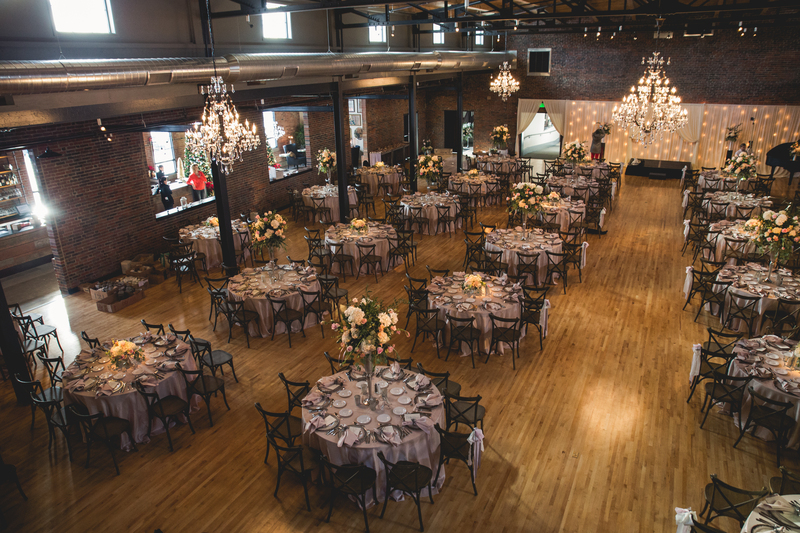 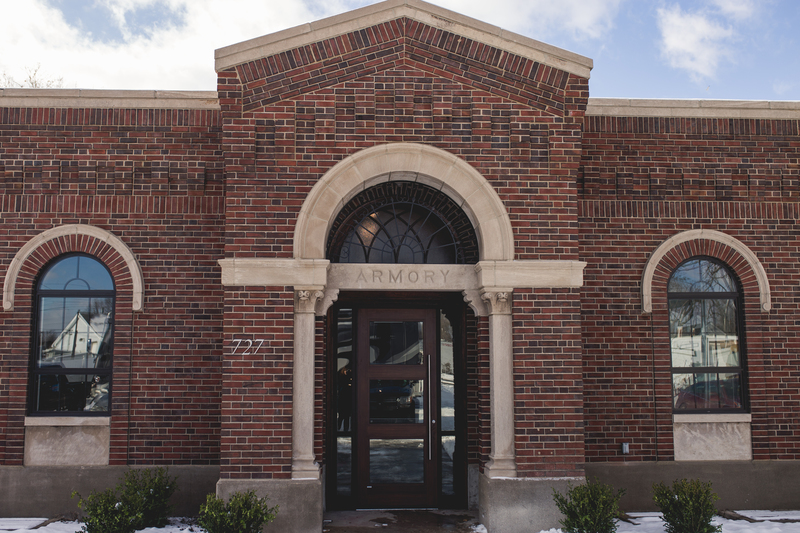 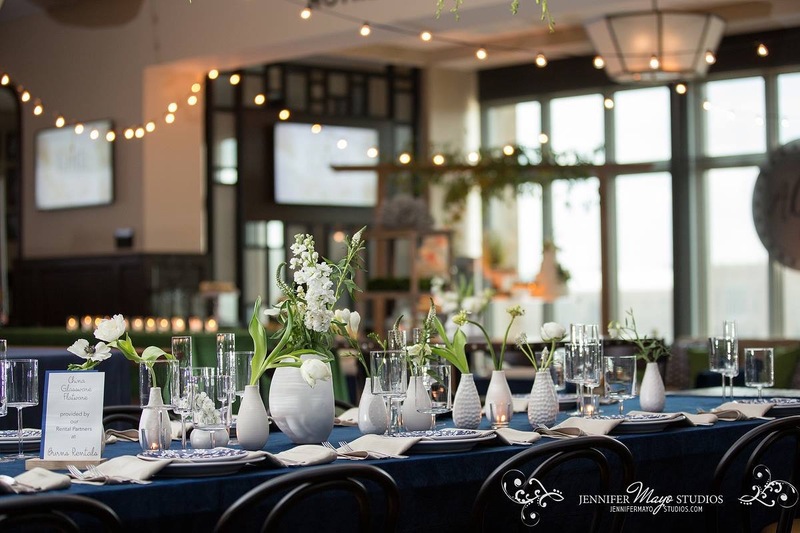 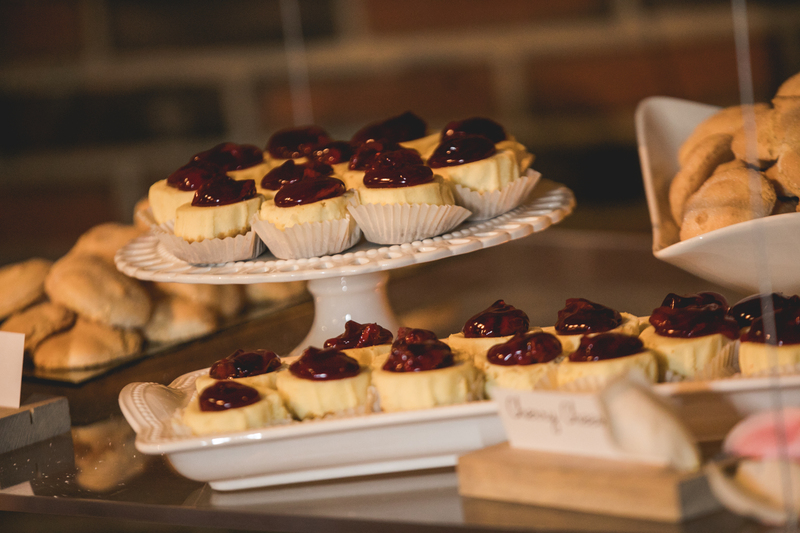 So when Morgan + Zach decided that’s what they wanted for their mid-December “I do’s” at The Armory in South Bend, we gladly obliged! 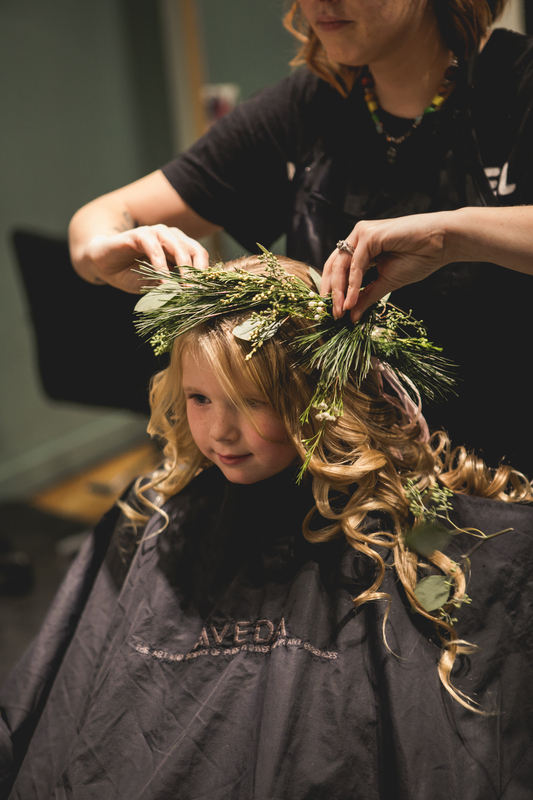 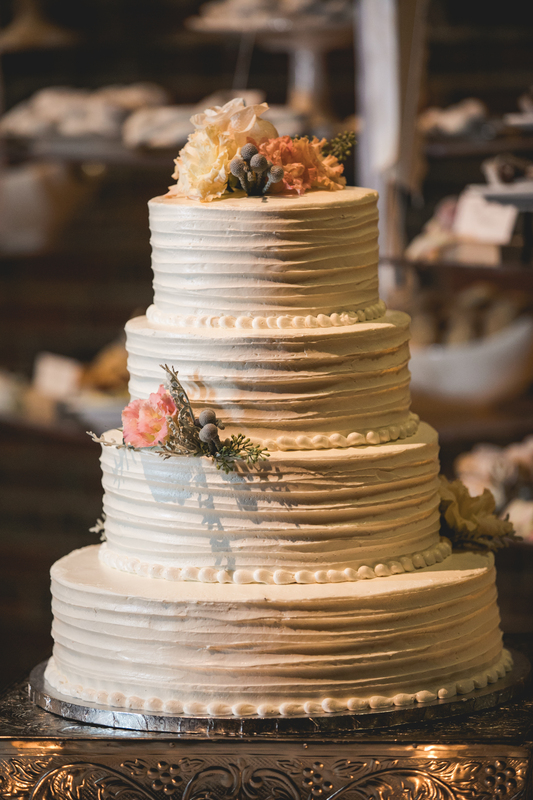 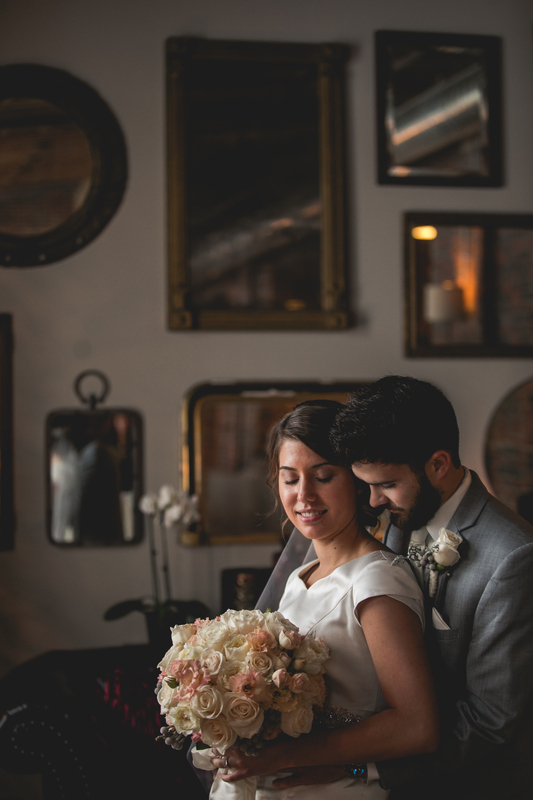 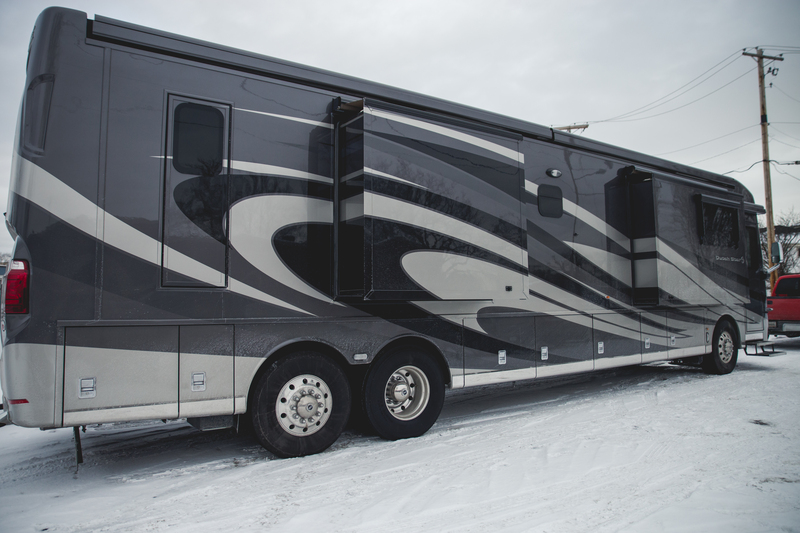 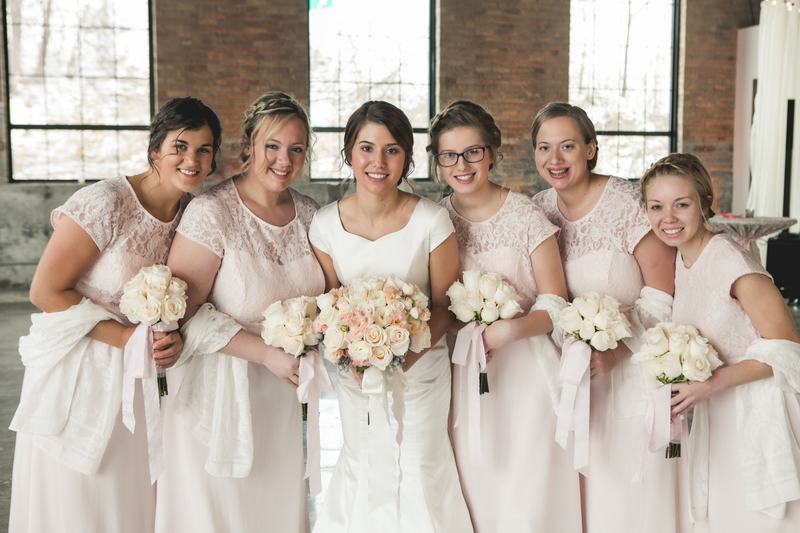 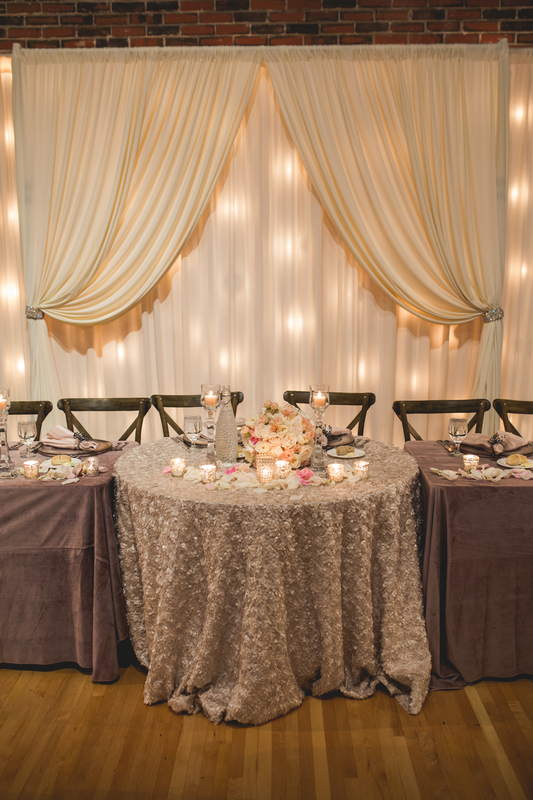 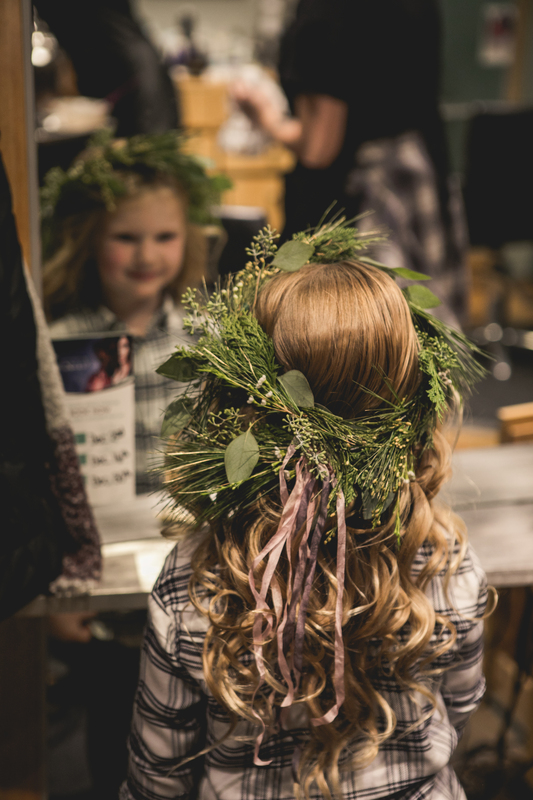 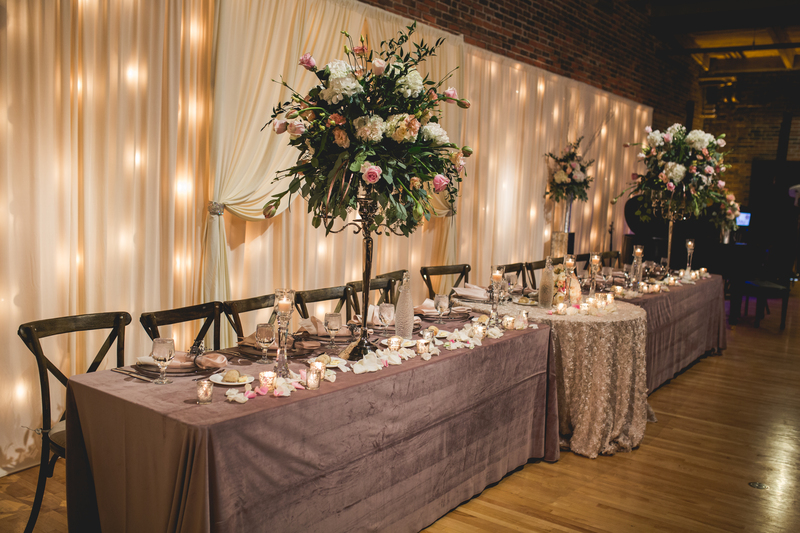 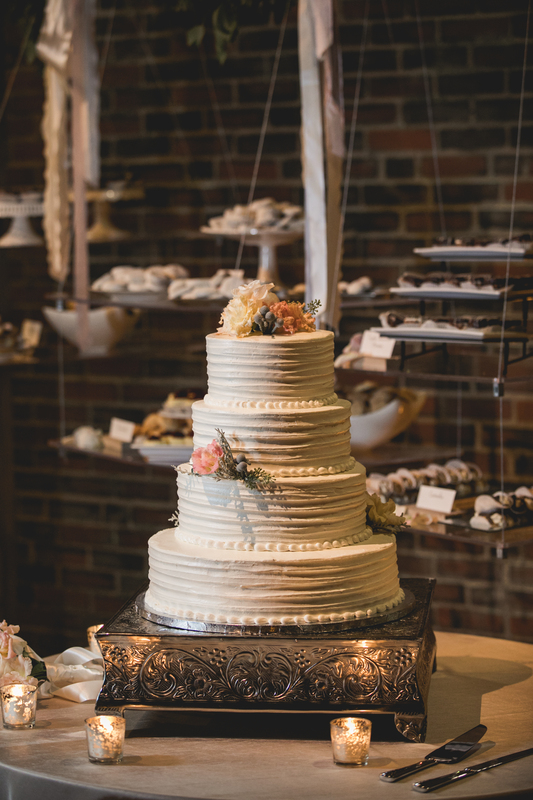 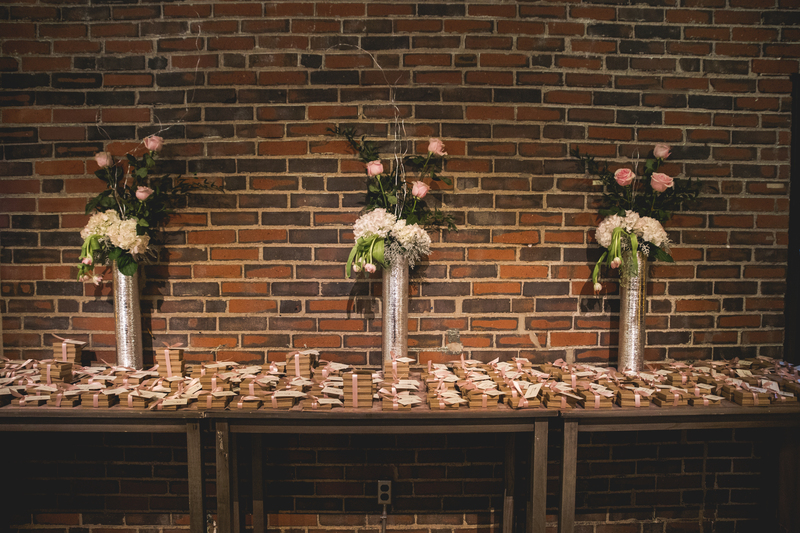 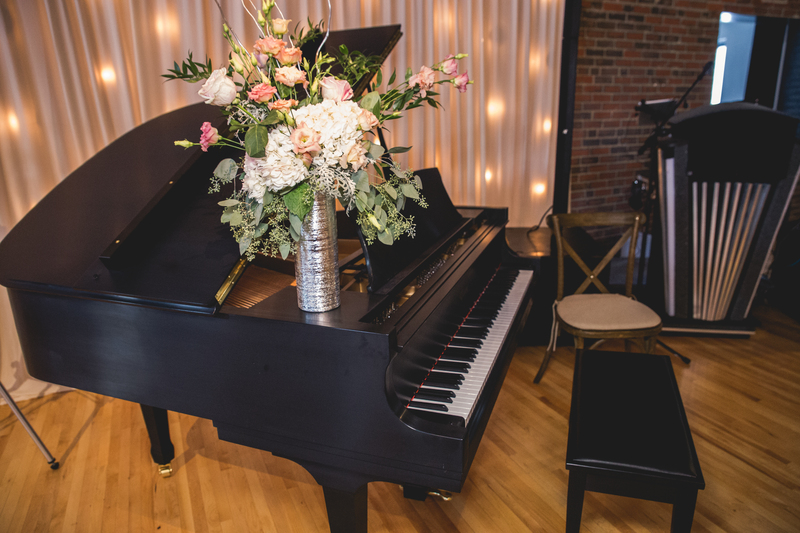 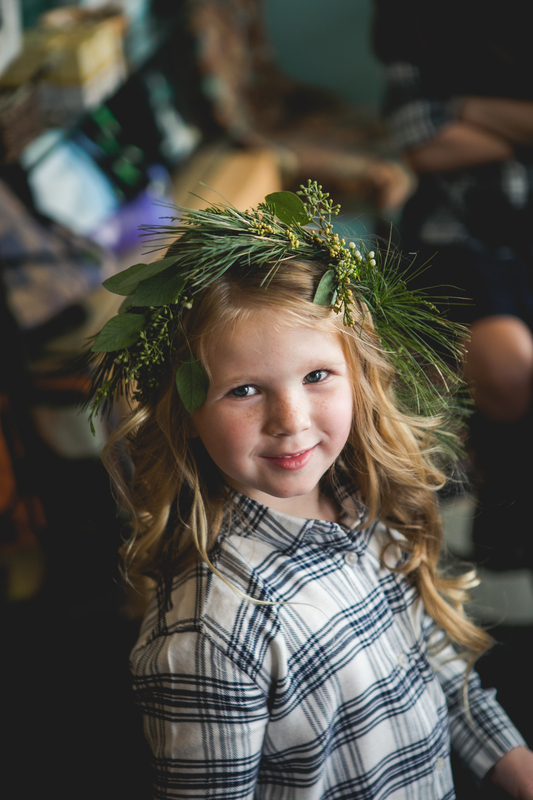 This wedding was such a one-stop-shopping affair, the guys hung out and got ready in a luxury motor home in the Armory parking lot and the gals got ready inside a loft on the second floor of the Armory building. 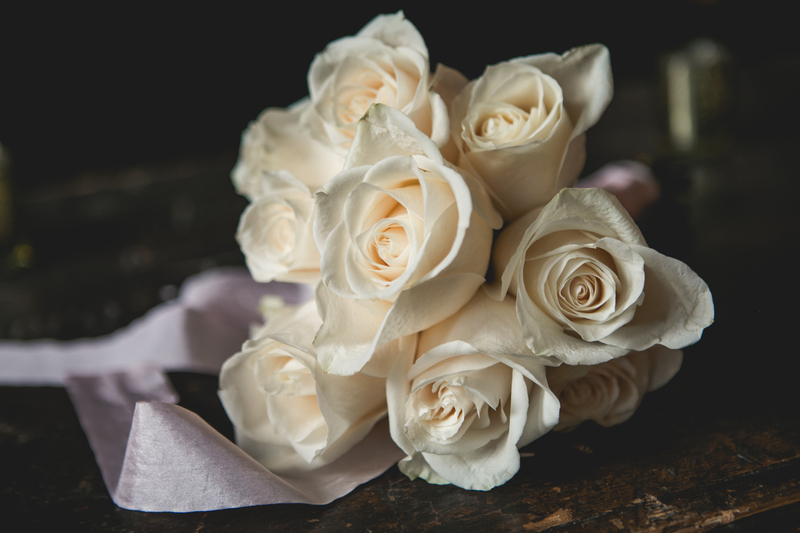 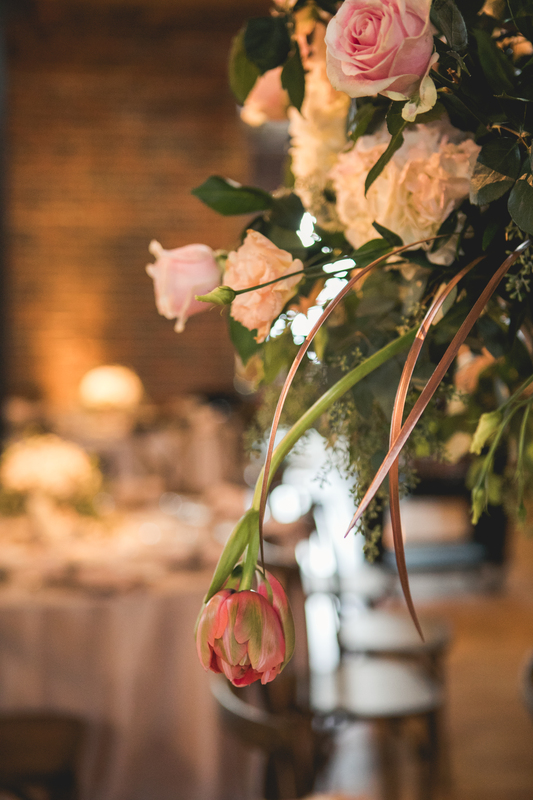 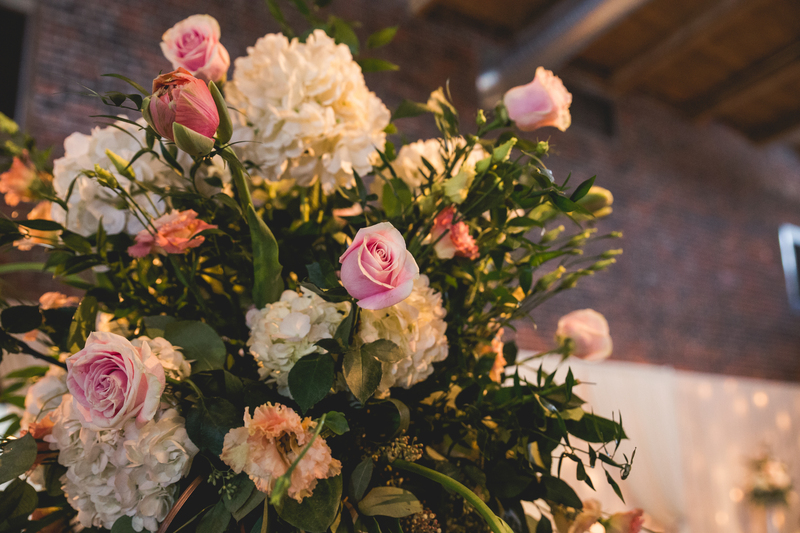 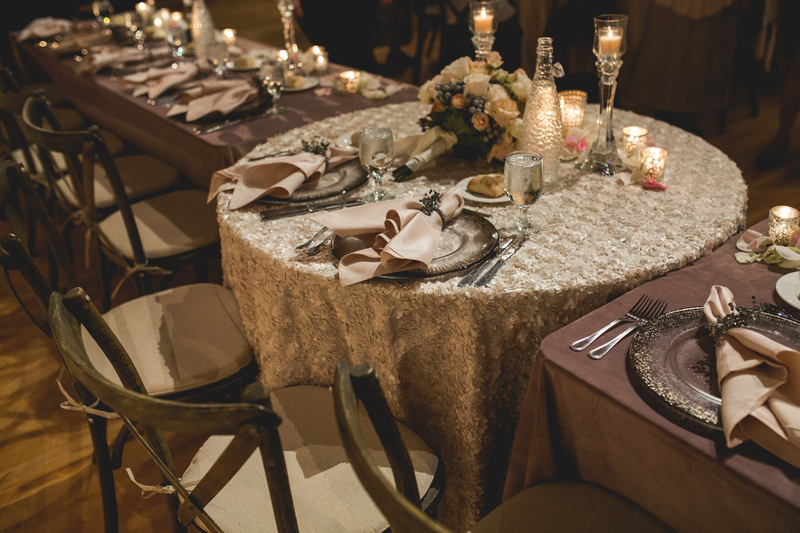 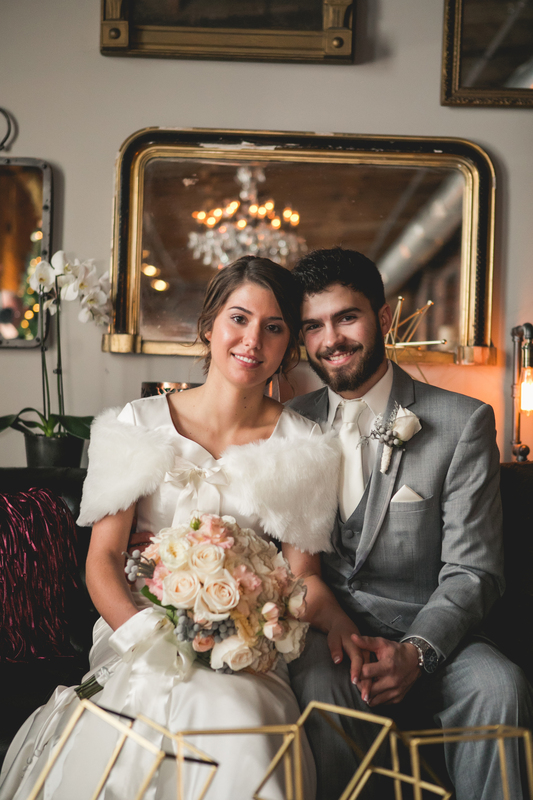 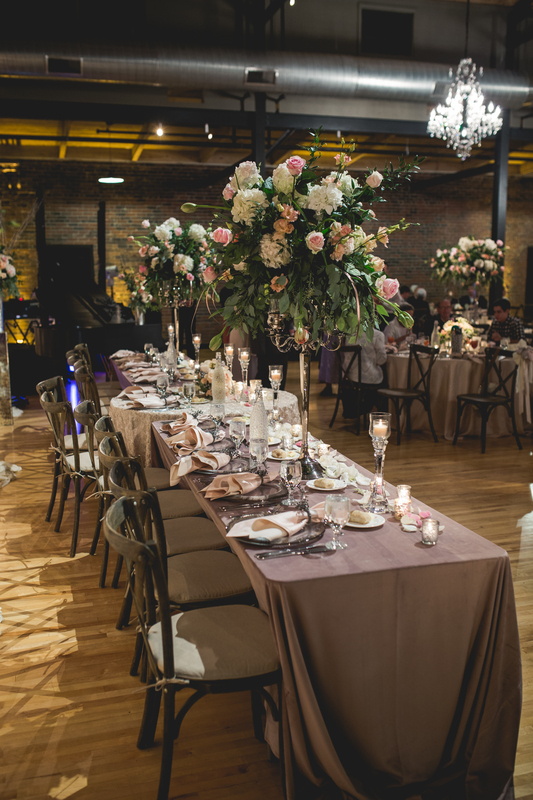 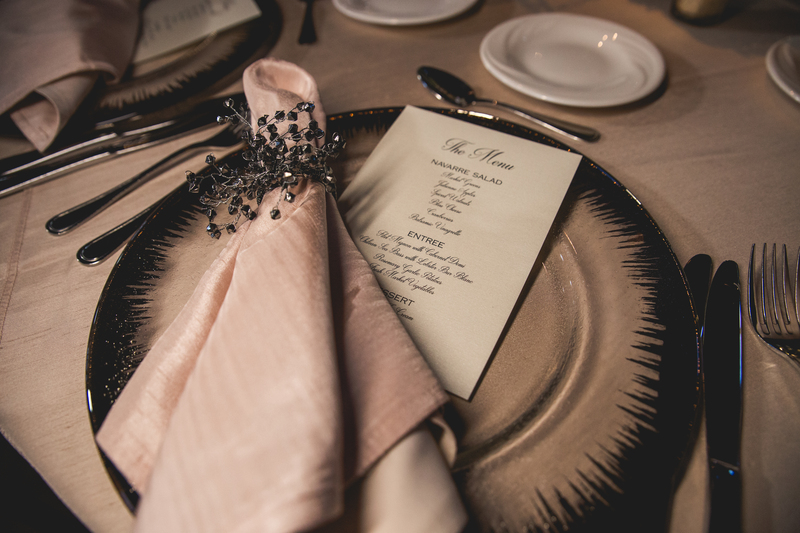 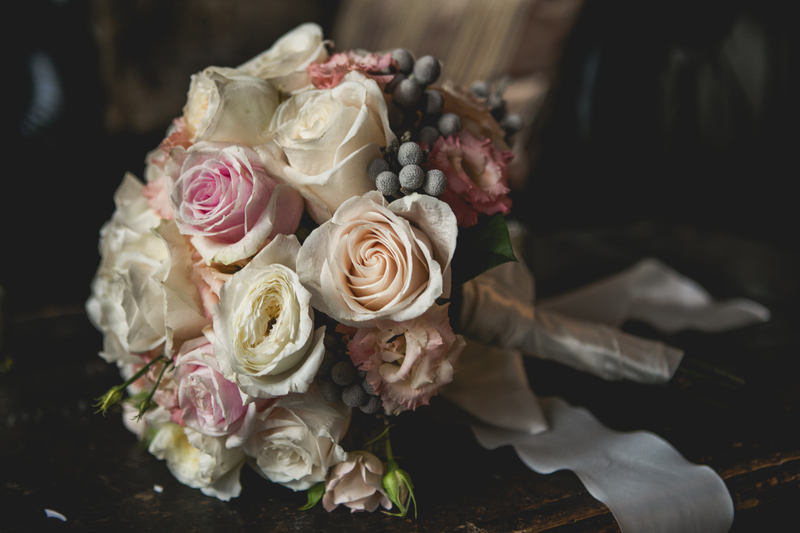 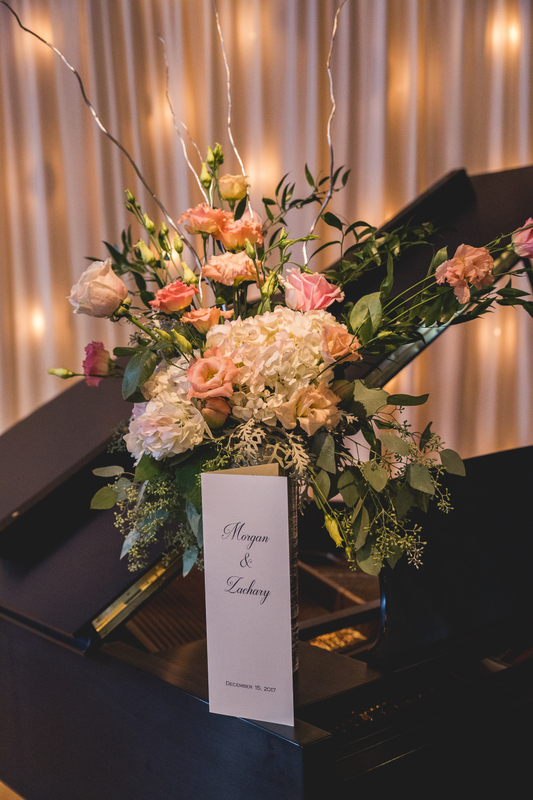 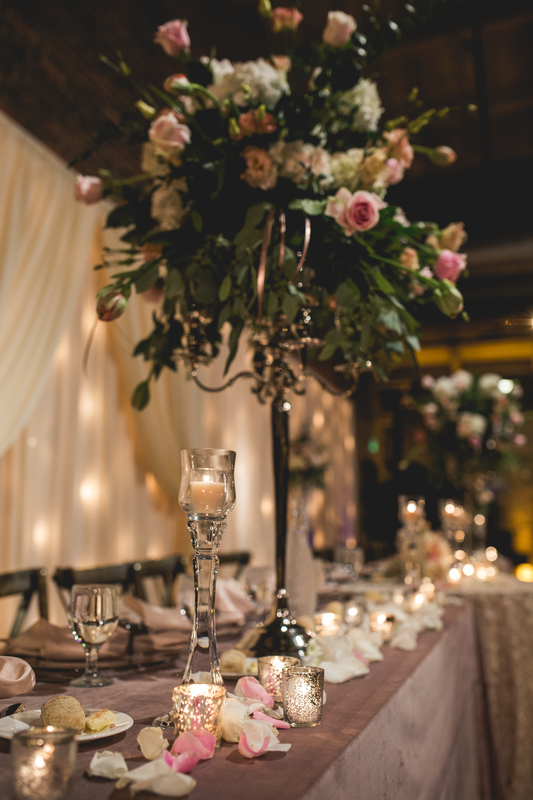 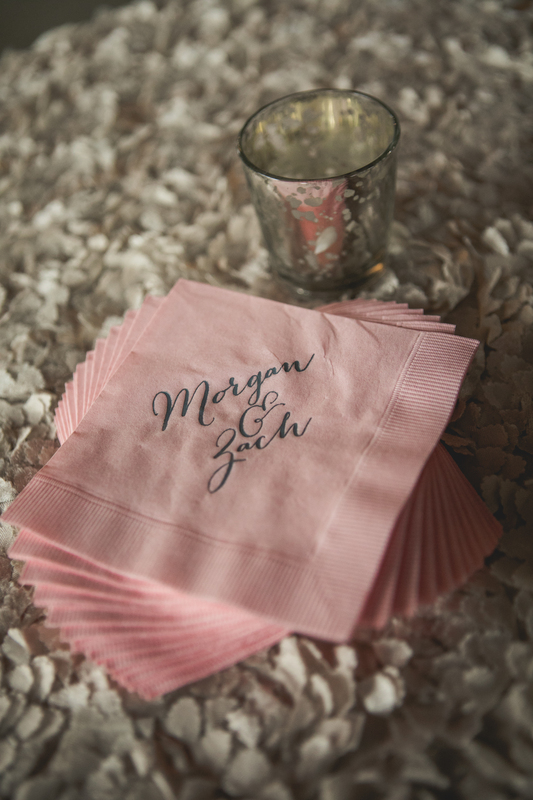 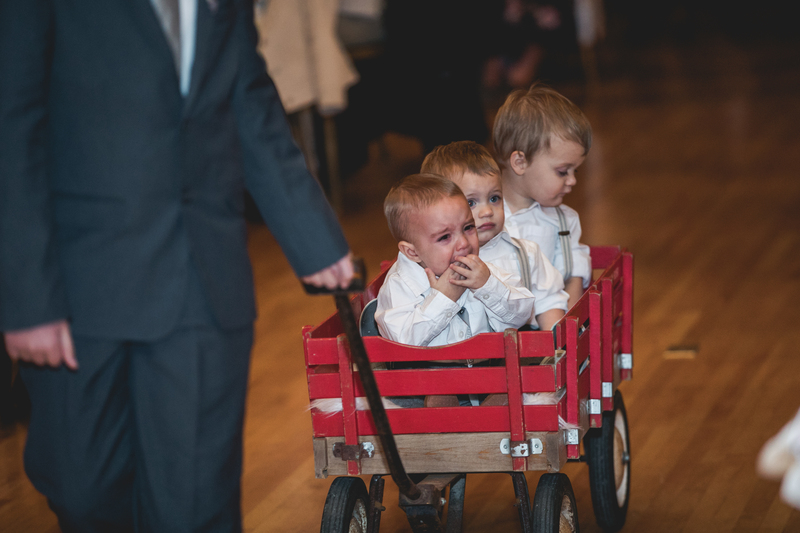 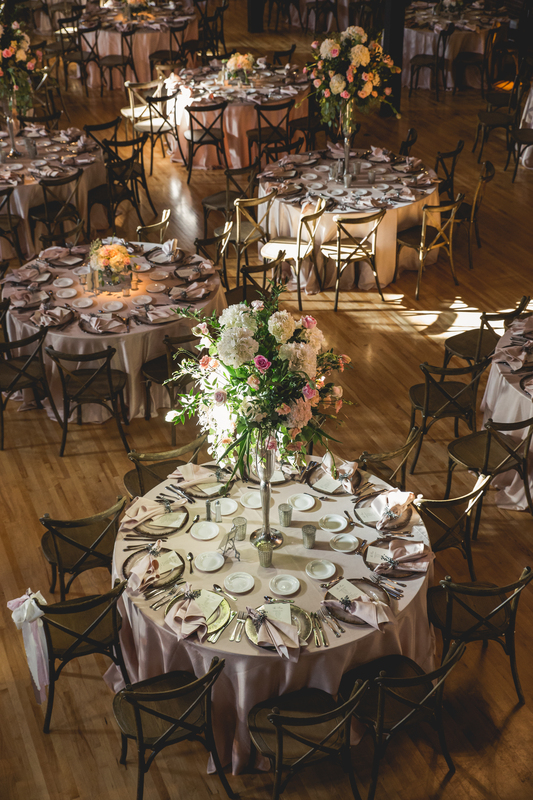 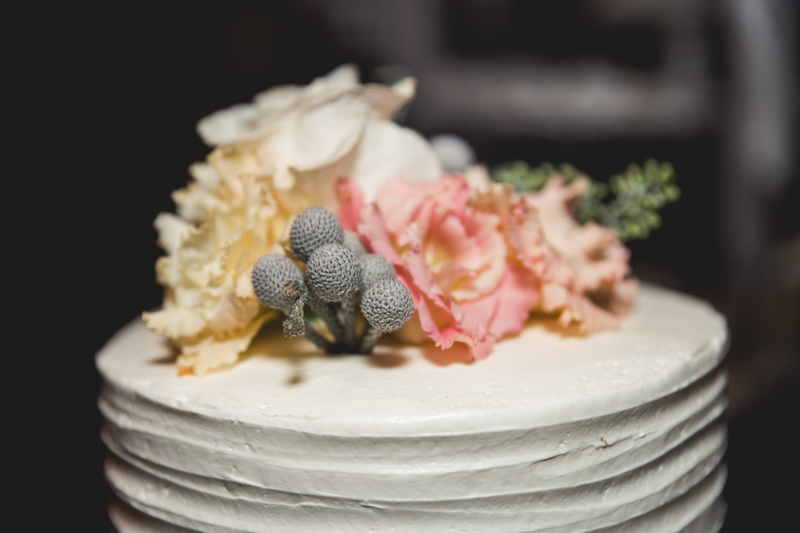 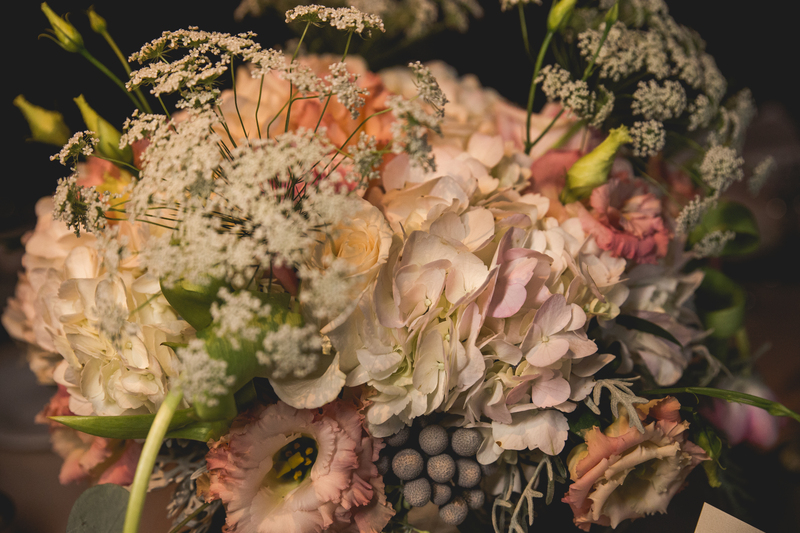 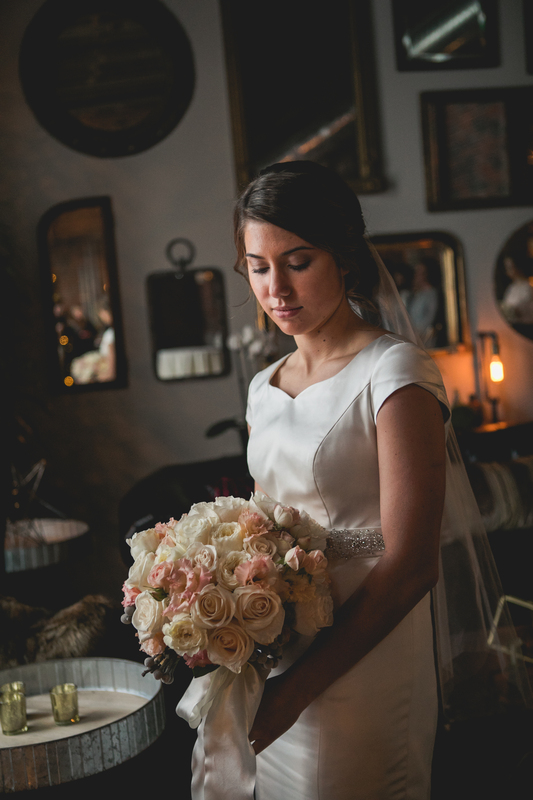 Keep scrolling to see how we pulled together pink, grey and cream hues for this winter wedding!